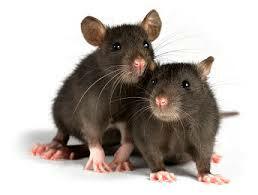 Smart Pest Solutions offers rodent services to residential and commercial accounts. The service can be adjusted to the needs of the customer. Rodent bait, snap traps, glue boards, and box traps can be used in combination to reduce rodent numbers. Thorough inspections are often in order to help keep new rodents from infesting homes. All gaps and cracks are sealed with permission from the homeowner. Homeowners can help keep rodent numbers down by keeping pet food and bird seed sealed. Keep garage doors closed and seal any gaps on the home.